Managed the Program for deployment of multi-million dollar Call Center project, including Computer Telephony Integration using Siebel Software for a major Healthcare company. This company-wide deployment was accomplished with extensive coordination with several departments within the company. This deployment significantly increased the productivity of the Call center operations, such as first time call resolution, customer satisfaction, and elapsed time per call. Coordinated the Program to redesign the rental network claims processing system for a major health company. The health insurance claims submitted via internet and other electronic transmissions are processed with the system. A pricing rejection rate of less than five percent was achieved, significantly lower from the initial pricing rejection rate, thereby achieving cost savings for the company. Managed the implementation of several web systems for use by Customers, Brokers, and Providers of a major healthcare company using Microsoft internet technologies. These web systems enabled wider reach of the company in a competitive environment and improved business processes. Coordinated the effort to migrate prescription management system and data migration of Peoplesoft financial system during merger of two major healthcare companies. Cysive, NY, Oct. 2000 - Oct. 2001. Cysive is a company specializing in ecommerce systems. Product Manager for a product for pharmaceutical industry to manage Clinical Trial information and processes. The product enables the physicians, administrators, and patients to view information and participate in the clinical trials via internet. The system was implemented by a team of 15 knowledge engineers, using Java internet technology over a 9 month period. Product Manager for a mobile internet system for physicians to submit prescriptions to pharmacy. This product reduces the potential for prescription errors and enables physicians to check prescription history and drug interaction. J2ME Wireless technology was used to implement the product. Lead Designer of Java based Benefits Administration System at MetLife, NY. Lead Designer of a Call Center Workstation for MetLife at ICON Solutions. 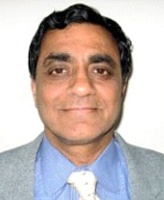 Senior Manager in the TCS R & D center in Pune, India. Research Scientist - NASA Langley Research Center, Virginia.